Upon taking my box of Museum Collection to the Topps booth during the 2018 National, I received (2) wrapper redemption packs in return. Inside each pack are (4) exclusive Bowman Chrome cards. 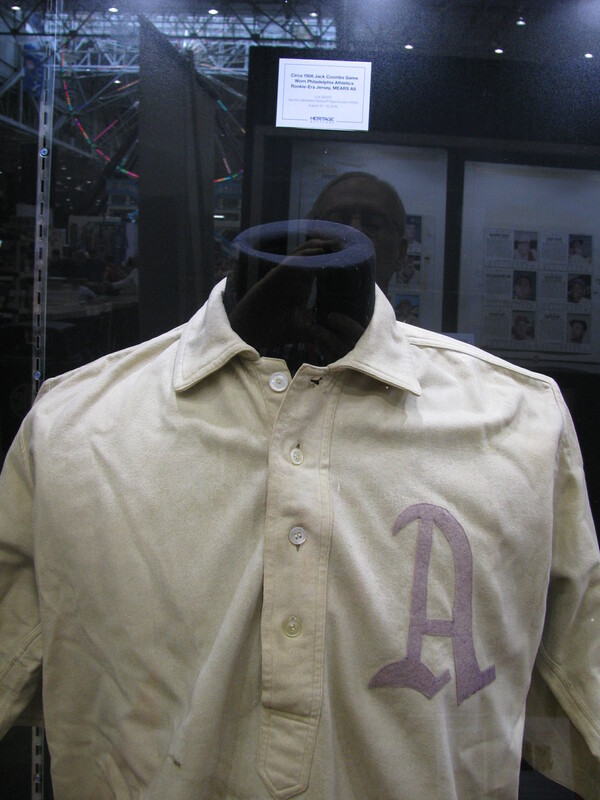 Parallels and autographs could also be found. Although I didn’t get any autographs, I did pull two nice parallels. Take a look! If you weren’t able to attend, be sure to checkout my Day #1, Day #2, and Day #3 coverage. My third and final day of the 2018 National Sports Collectors Convention has come to an end. 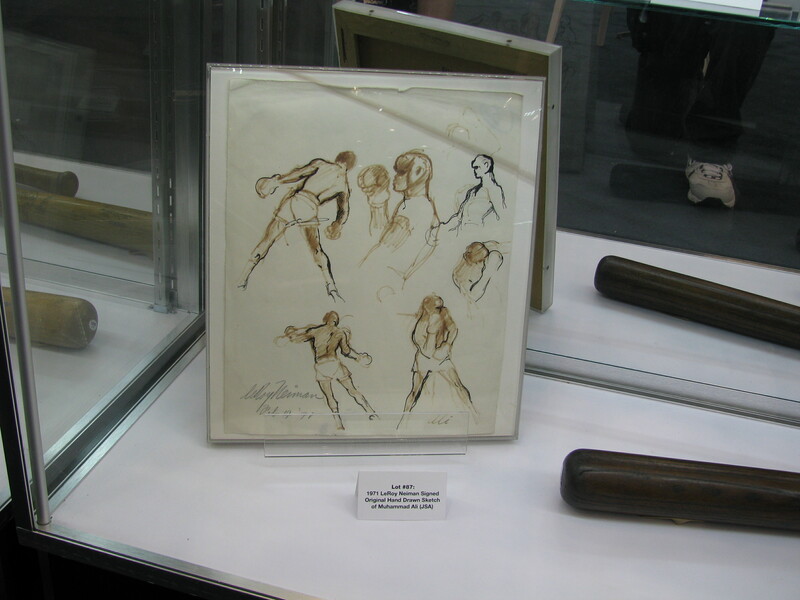 I spent most of it browsing the show floor and taking pictures of all the amazing items. The first stop I made was to Chicagoland Sports Cards where I had them open a new case of 2018 Leaf In The Game Used Sports. I chose the box on the upper left corner. Boy did I pick a good one. One of my hits is a Babe Ruth/Shohei Ohtani dual relic #’ed 1/1!!! Like I mentioned earlier, I’ll go into full details about what came out of my boxes I bought in Cleveland once I get home. The scans will look nice. 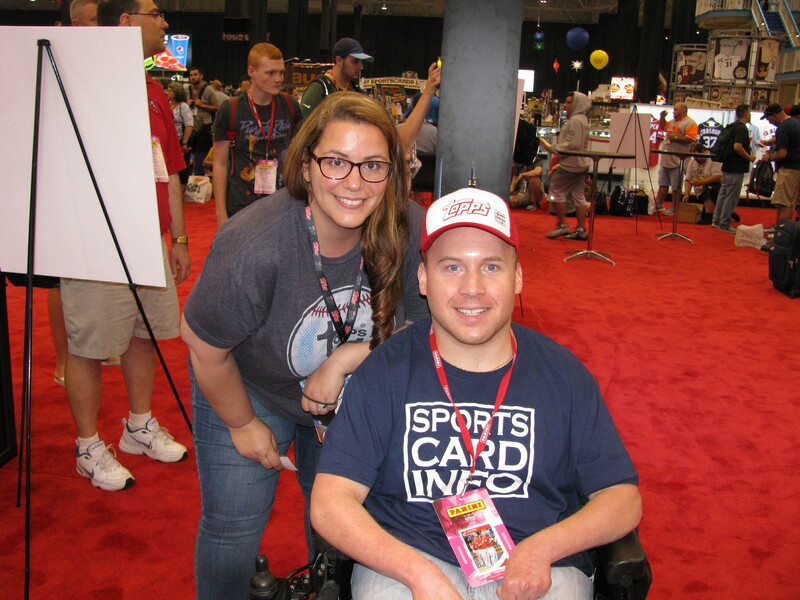 At 5:30 p.m. Topps held their Q&A session. This was the first time I had ever attended one of these meetings. It was fun and educating to hear collector’s questions and concerns. Only (150) spots were available for this meeting. 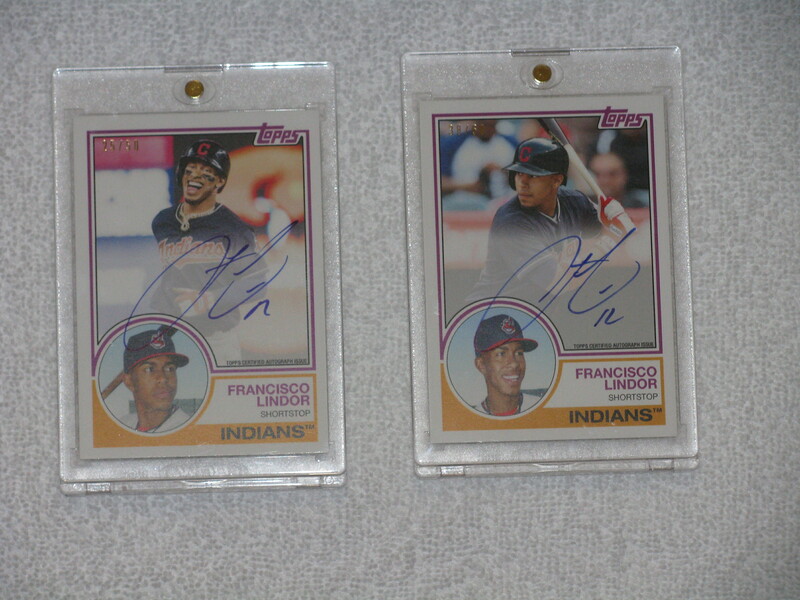 Everyone that attended the meeting received a specially made Francisco Lindor autograph #’ed/50. Not every card uses the same photo of Francisco Lindor either. At least (3) different photos were used. 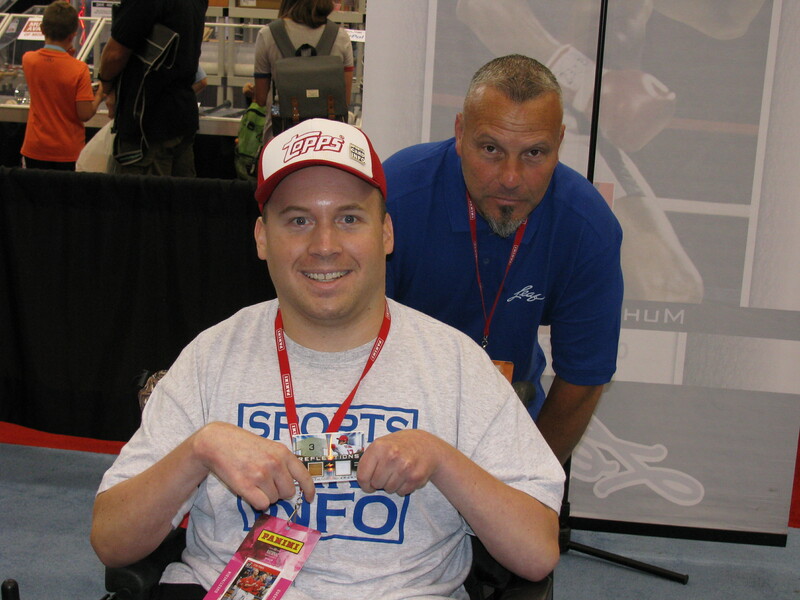 Here is a video of the entire Q&A courtesy of Sports Card News/Sports Card Radio. Every collector should be able to attended at least one National. No show gets better than this. I’ll be heading home on Saturday. I’ve got a feeling the weekend will be very crowded. This show was a blast. 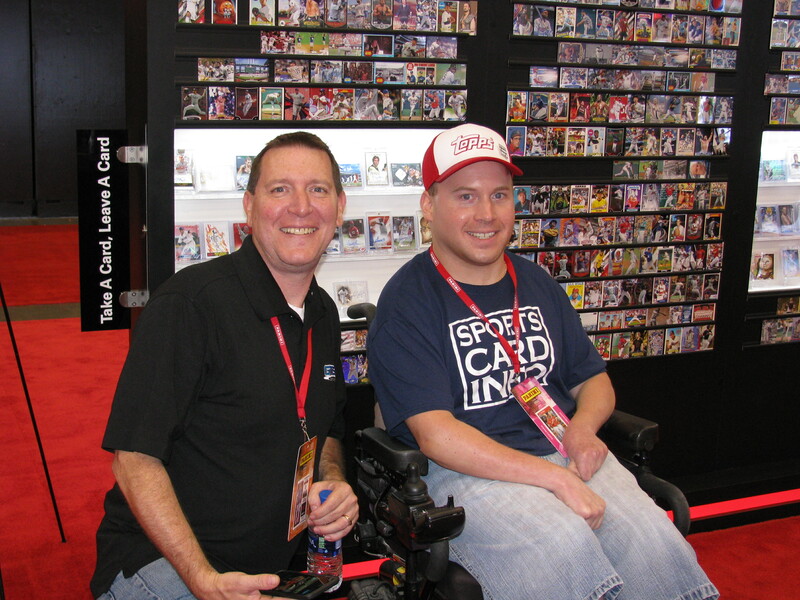 I got to meet some awesome people, take great pictures, get some autographs, and pull some cool cards. Day #2 of the 2018 National Sports Collectors Convention is in the books. I was there right when the doors opened. This is the first time in six years that I can remember the National having merchandise for sale. I ordered a t-shirt a few months ago, but they have different shirts at the show to buy in addition to posters and pins. Yes I said pins. It use to be a regular thing that the National would issue pins, but its been a long time since those days. 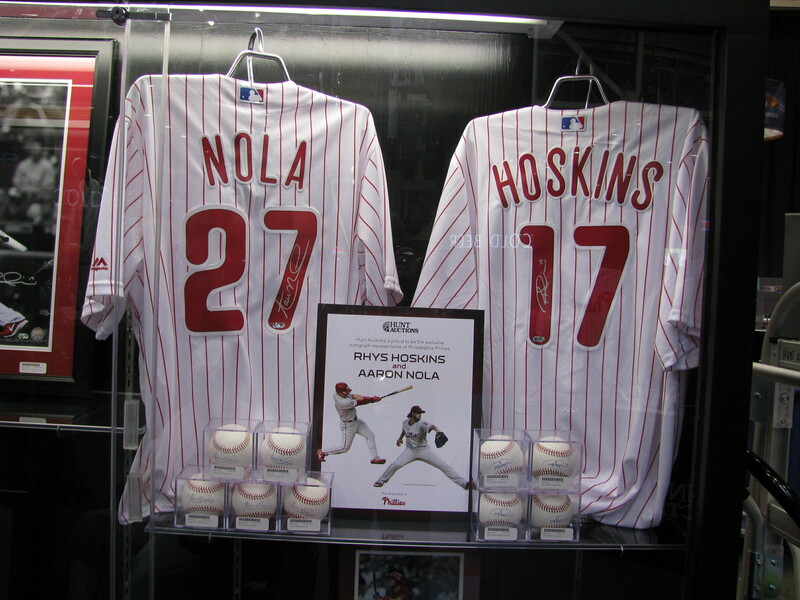 This merchandise is for sale in the West Entrance. I picked up another shirt and pin first thing this morning. At 11:45 a.m. Jack Ham started signing autographs and taking photos with fans. I had a little time to kill. I went in search of a box of the new 2018 Leaf In The Game Used Sports. 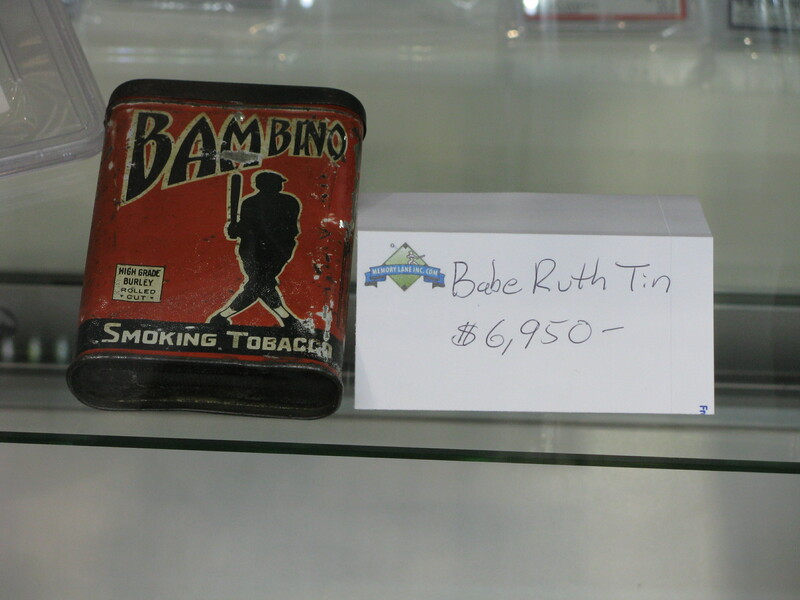 Not every dealer/vendor has a box of this stuff. 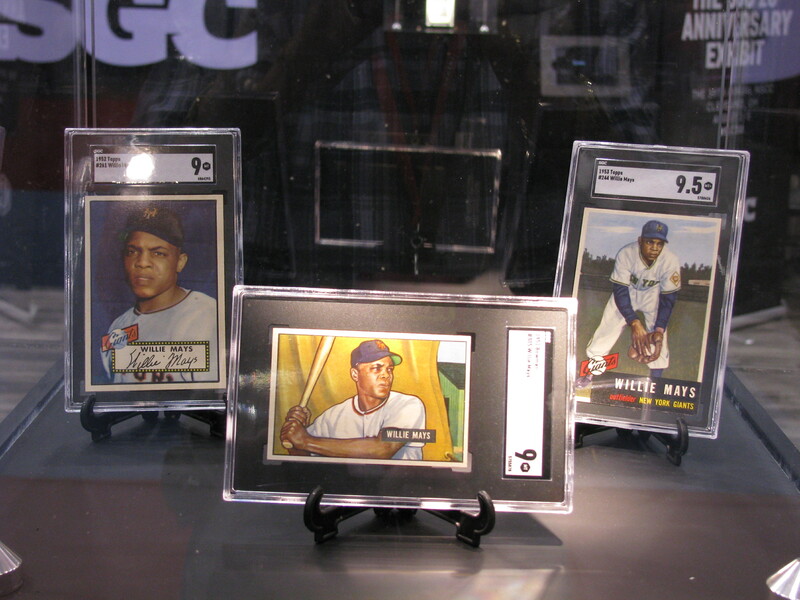 The only two companies I saw selling them were Blowout Cards and Chicagoland Sports Cards. 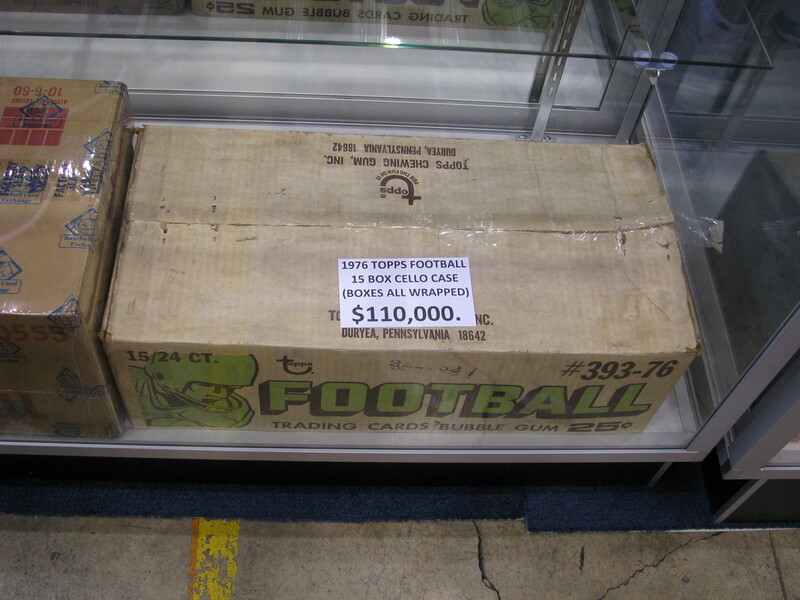 I think Blowout Cards is buying up a lot of these boxes and cases from others to sell themselves. I took the box over to the Leaf booth and broke the seal. In return I received a special 2-card pack of Leaf Metal Originals. These celebrate Leaf’s 70th anniversary and come in a variety of parallels. Before I left, I handed two of the Leaf employees Sports Card Info pins. As a thanks I was handed a stack of those Leaf Metal Originals packs. Once I get back home I will go into full details about what I pulled from the boxes/packs I opened here in Cleveland. I will say this. From my box of 2018 Leaf In The Game Used Sports, I pulled an autograph/relic of Pelé #’ed/3. 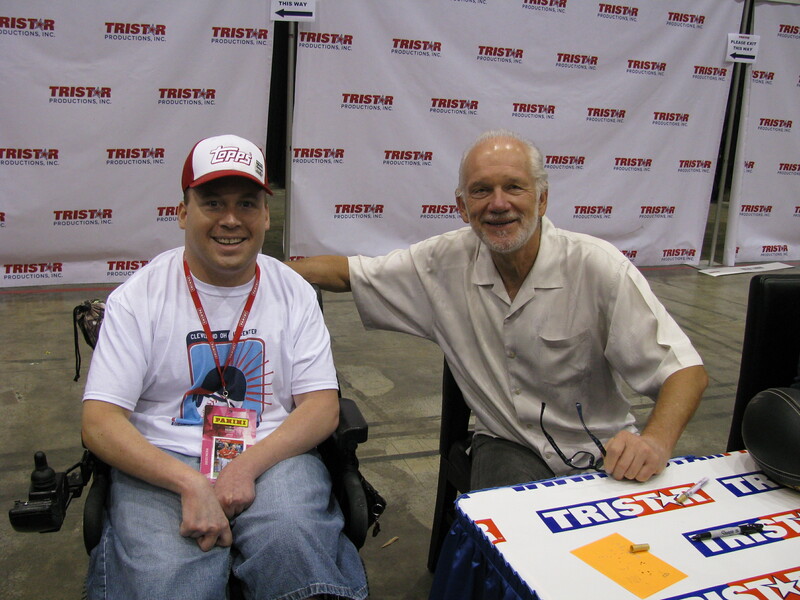 Once I wrapped things up with Leaf, I headed up to the TRISTAR autograph pavilion. This went a lot smoother compared to Wednesday night. It only took me 30 minutes to get my Jack Ham signature. Jack Ham is a really nice guy, just like Ickey Woods. I got him to sign my black/gold Penn State football. 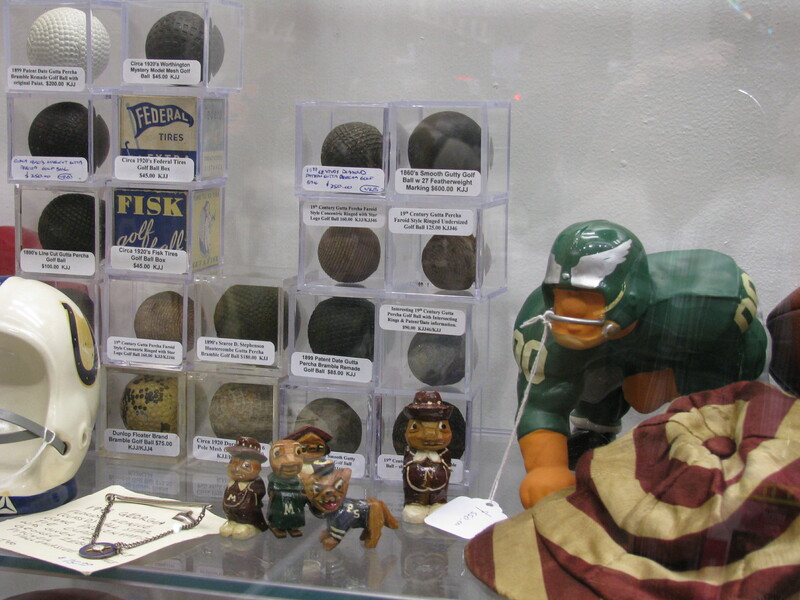 He was very interested to see which other Penn State signatures I have on the ball. Its been a few years since I’ve been to the National, and I think TRISTAR’s employees are getting snippy. I pulled the trigger on a vintage Philadelphia Eagles bobblehead from the 1960’s. This is the second vintage bobblehead in my collection. I purchased it from the same dealer I bought my vintage Phillies bobblehead from while attending the National in Atlantic City. 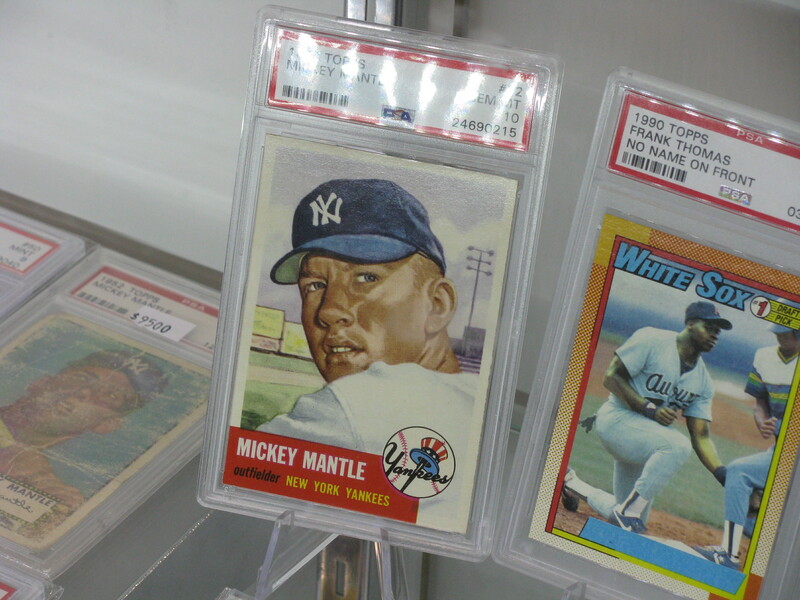 Marty’s Sports Card Exchange has some of the best deals on wax. 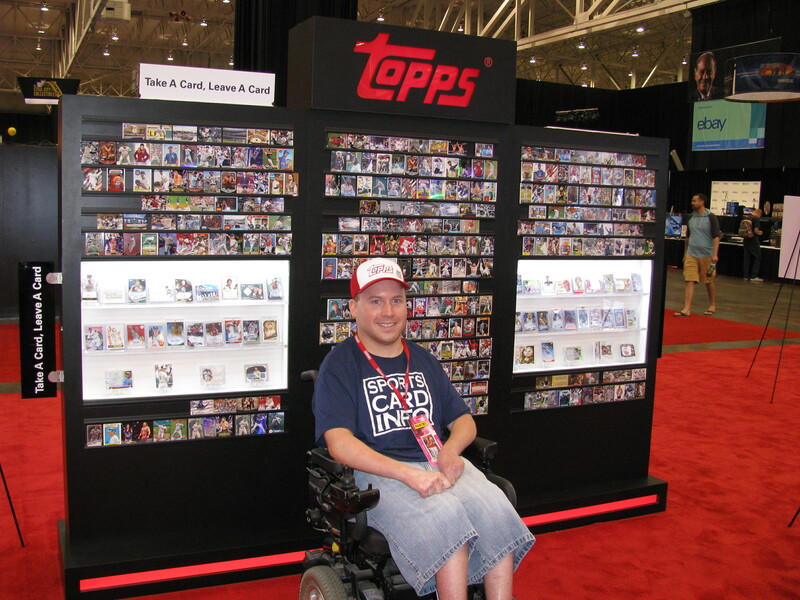 They are also one of the authorized Topps vendors who’s products are eligible for the Topps wrapper redemption program. 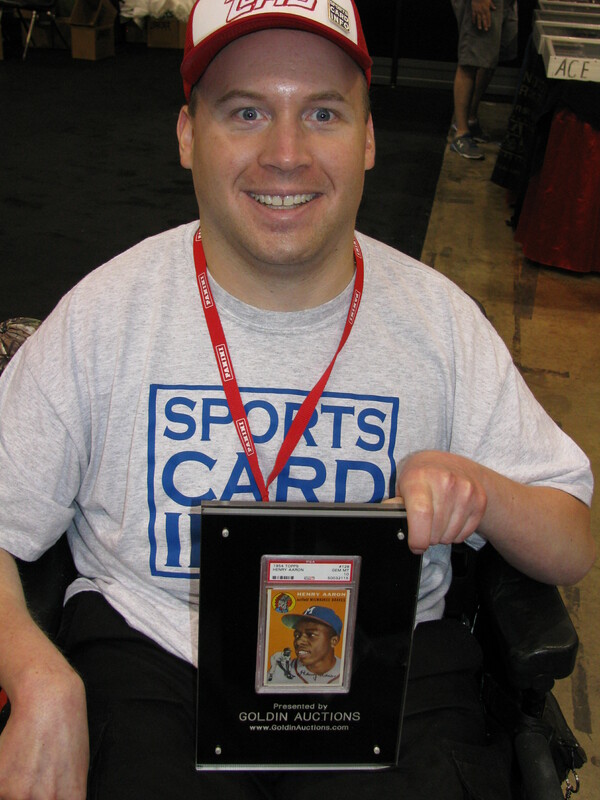 I purchased a box of 2018 Topps Museum Collection Baseball which got me (2) promo packs upon breaking the seal at the Topps booth. Like I mentioned before, its better to show off what came out of my packs/boxes after I return home. But I did get a Red Refractor #’ed/5, Orange Refractor #’ed/25, and an Ohtani from my Topps promo packs. The rest of the day was spent wandering around checking out everything the National has to offer. 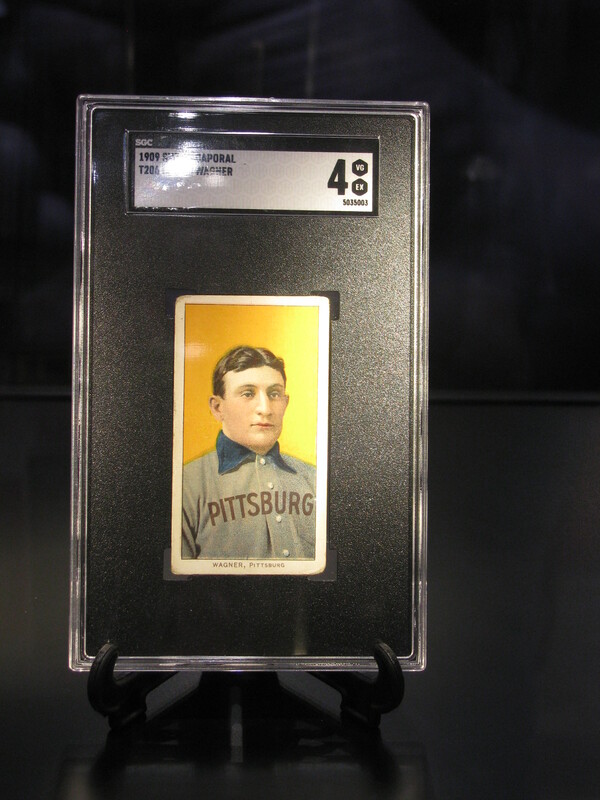 One of my favorite things to do is checkout what the auction houses have on display. There are a lot of items here that once they’re sold will go into hiding and won’t be seen again for a very long time. The 2018 National Sports Collectors Convention is officially underway. 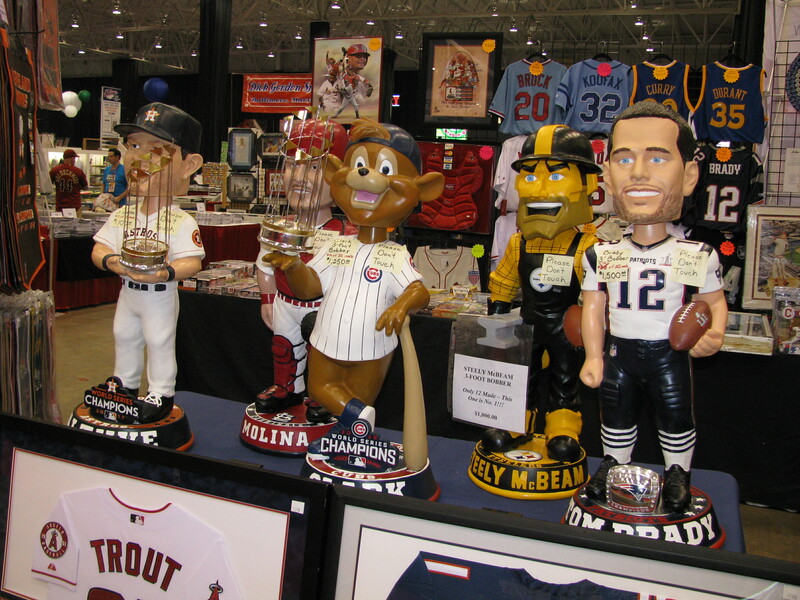 It is the greatest gathering of collectors, dealers, manufacturers, and other prominent hobby individuals all under one roof. This year’s National is taking place in Cleveland at the I-X Center. I like this location the best as I find it the easiest to get to. I arrived at the I-X Center around 2:00 p.m. Thanks to Sports Card Info I’m eligible for media credentials. That got me into the show before the 3:30 p.m. opening time set for VIPs. 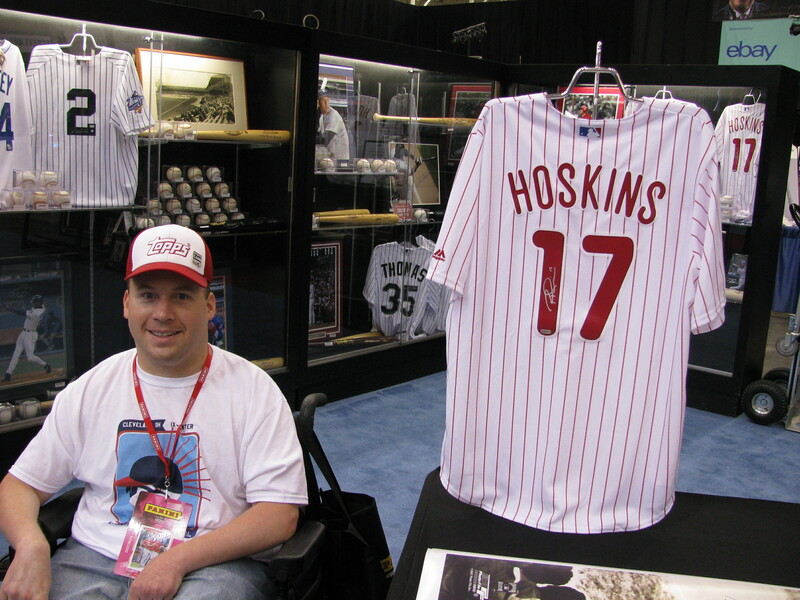 I immediately went over to the Topps booth and signed up for the Q&A meeting scheduled for Friday at 5:30 p.m. Topps leaves (125) spots open, and they fill up fast. The TRISTAR autograph pavilion was my next stop. 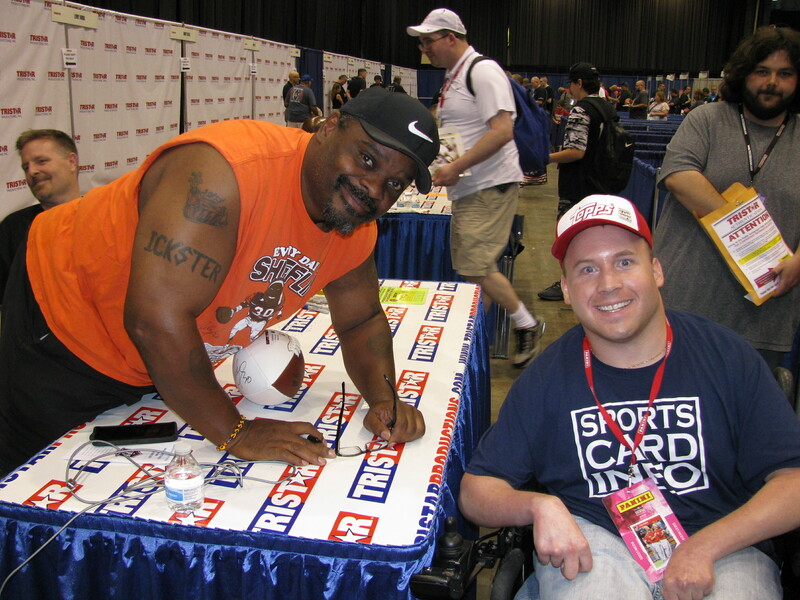 I bought a few autograph tickets – Ickey Woods and Jack Ham. Ickey Woods started signing at 5:30 p.m. today and Jack Ham is scheduled for 11:45 p.m. on Thursday. I didn’t know this. But having media credentials gets you a discount on autographs. Ickey Woods normally would’ve been $29, $19 for the media. Jack Ham $59, $55 for the media. Way cool! 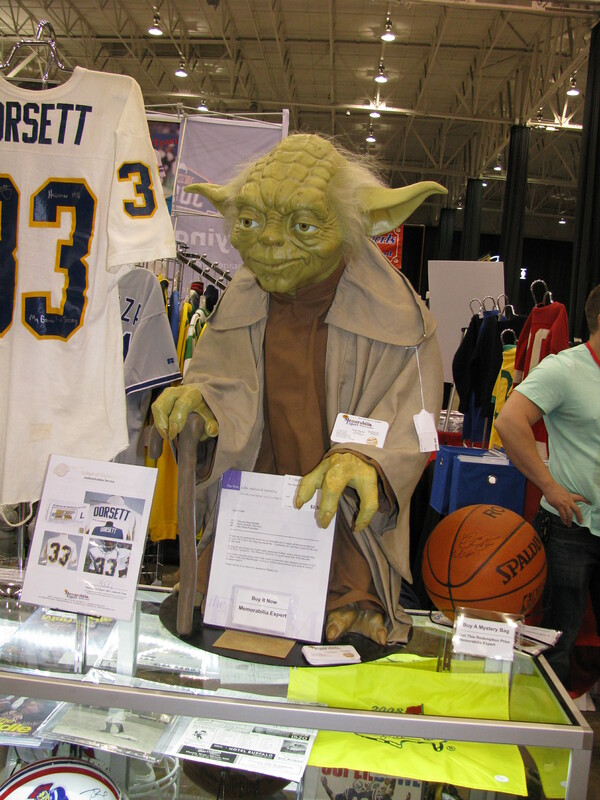 You almost need a Ph.D. to understand how the autograph signings work. I had ticket #1 for Ickey Woods. The first level of people who get their autographs are the ones who spend about $300 on the high-end All Access Platinum Passes. After that come those who purchase single tickets like myself. TRISTAR never mentioned that they were accepting tickets like mine. All I heard were the high-end passes. After waiting awhile I finally showed them my ticket and they told me I could go in. Who knows how long I sat there for no reason. Just a communication error on their part. One of the best things about the National is meeting all of the people you talk to online. 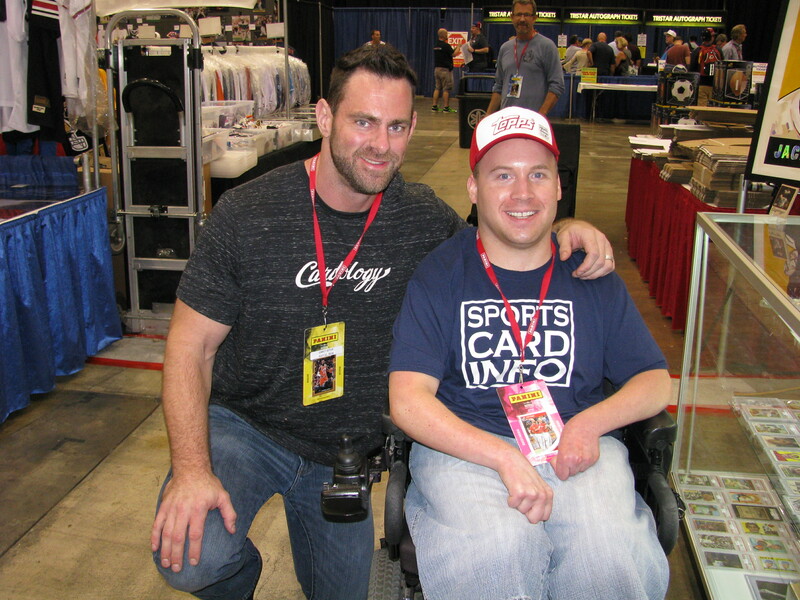 I met Rob Bertrand of Go GTS Live, Susan Lulgjuraj of Topps, and former Eagles/Broncos guard Evan Mathis with his impressive collection. 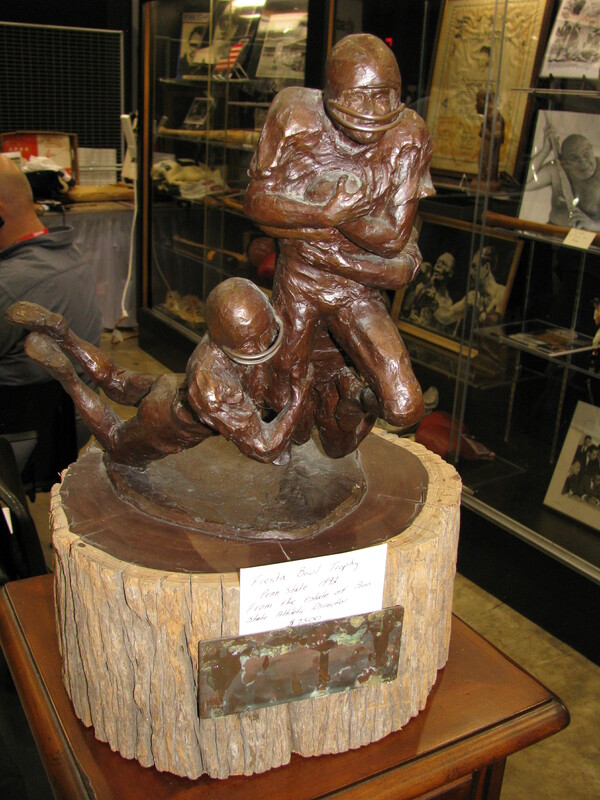 Of course, Ickey Woods too. The National is a monster of a show. Its the show of all shows. Nothing else comes close to beating it. There is a lot to take in. 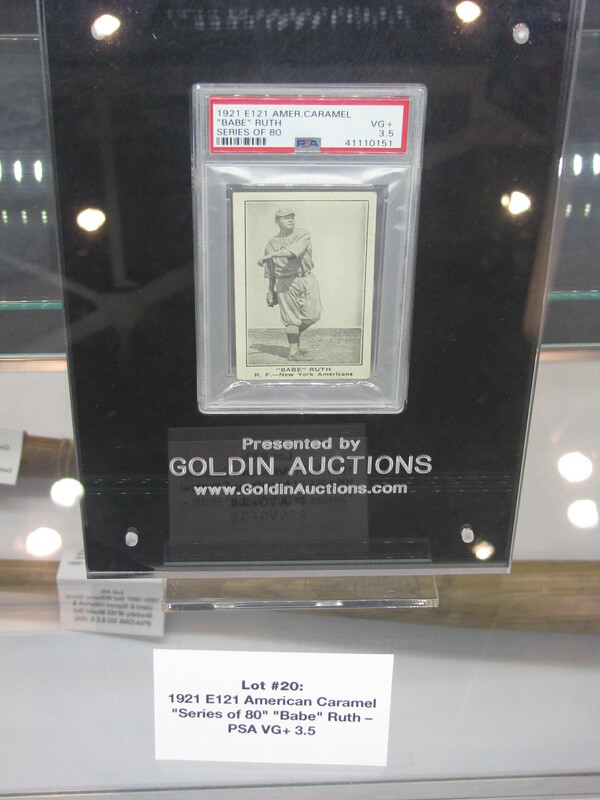 It closed at 8:00 p.m. Before leaving for the night, I snooped around some booths and got pictures. I’m looking to add another vintage bobblehead to my collection. I’ve already inquired about a few Philadelphia Eagles ones. I’m also possibly looking to add a Mike Schmidt 1973 Topps Rookie to my collection too. I’ve found three. 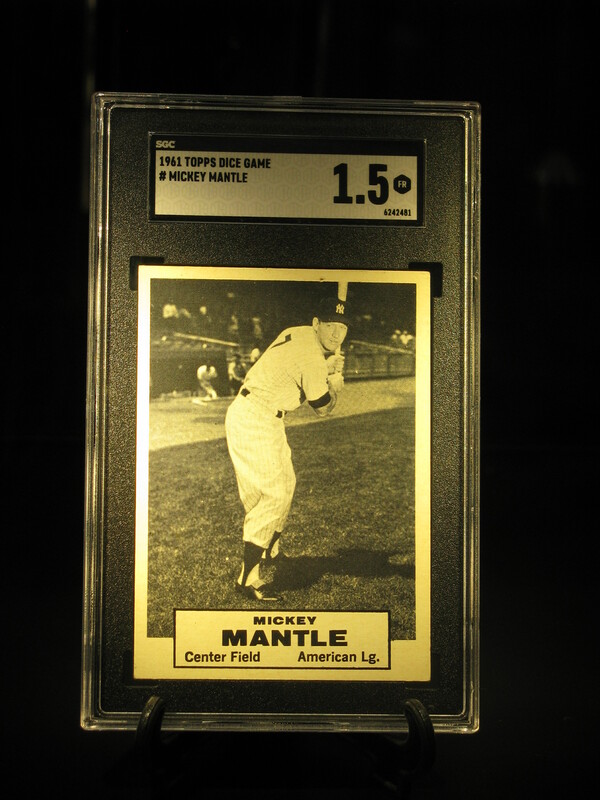 One graded a PSA 3 for $85, a PSA 5 for $125, and a PSA 5.5 for $175. Ickey Woods – Get some cold cuts! Its been awhile since I participated in any of Leaf’s wrapper redemption programs, but this year that might change. 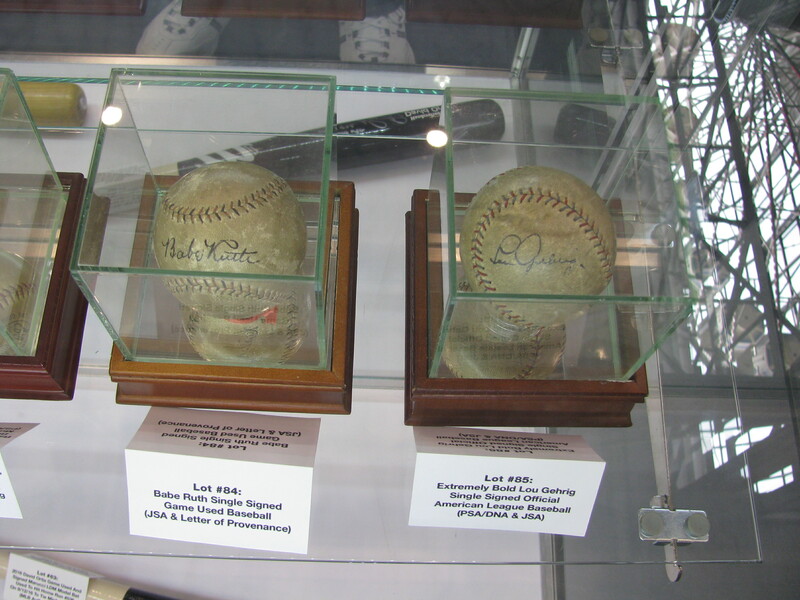 Leaf plans to have three redemption programs going on during the 2018 National Sports Collectors Convention. Open a box of 2018 Leaf In The Game Used Sports or 2018 Leaf Pop Century at the Leaf booth, and you’ll receive a 2-card pack of 1948 Leaf Metal cards. These cards celebrate Leaf’s 70th anniversary. This set covers a wide variety of sports stars such as Shohei Ohtani, Stephen Curry, Conor McGregor, Lionel Messi, Baker Mayfield, and Gordie Howe. 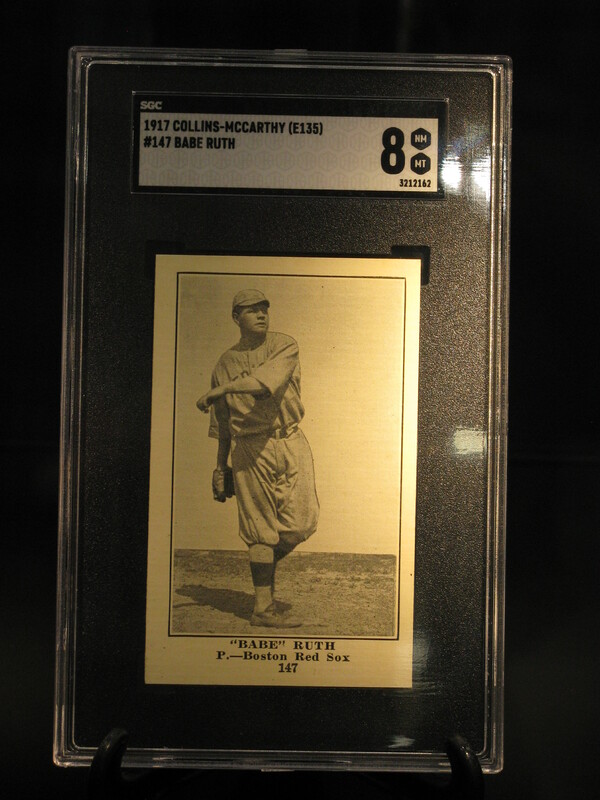 Watch out for low numbered parallels. Open a case of 2018 Leaf In The Game Used Sports or 2018 Leaf Pop Century at the Leaf booth, and you’ll receive a 2-card pack of 1948 Leaf Metal cards for each box in your case. You’ll also receive a special 70th anniversary autograph #’ed/1. 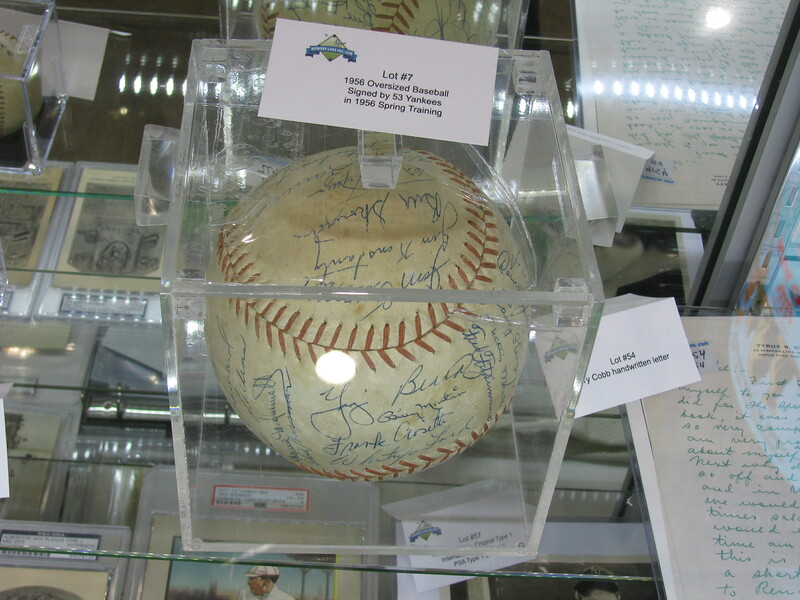 These autographs include greats like Jerry Rice, Nolan Ryan, Shohei Ohtani, and Mike Tyson. Open a case of 2018 Leaf Metal U.S. Army All-American Football, and receive an exclusive 2018 National Sports Collectors Bonus Box. Each one of these special boxes contain (12) autographs numbered to (2) or less. 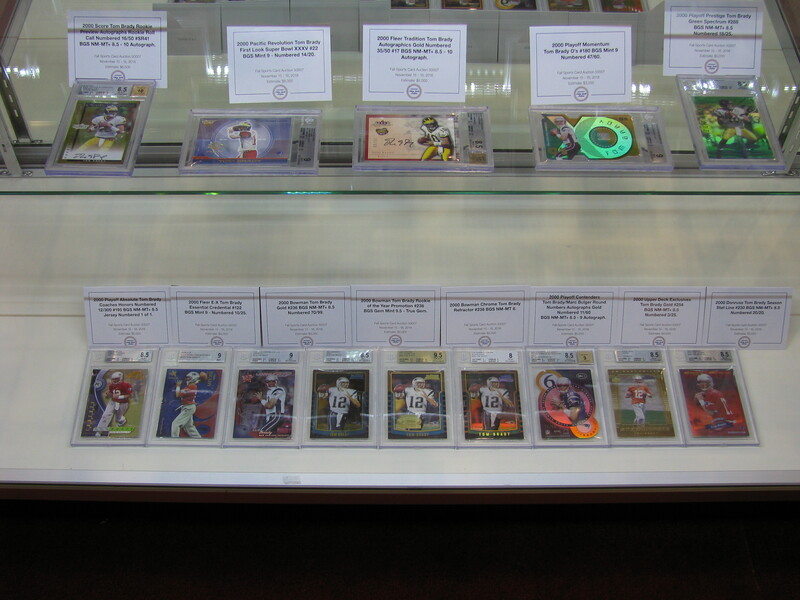 (4) Metal Proof Autos, (2) Printing Plate Autos, and (6) Blank Back Autos make up a box. Only (50) boxes will be made. Stop by the Leaf booth every morning of the show as they will be distributing at random cards from their 39-card promo set. 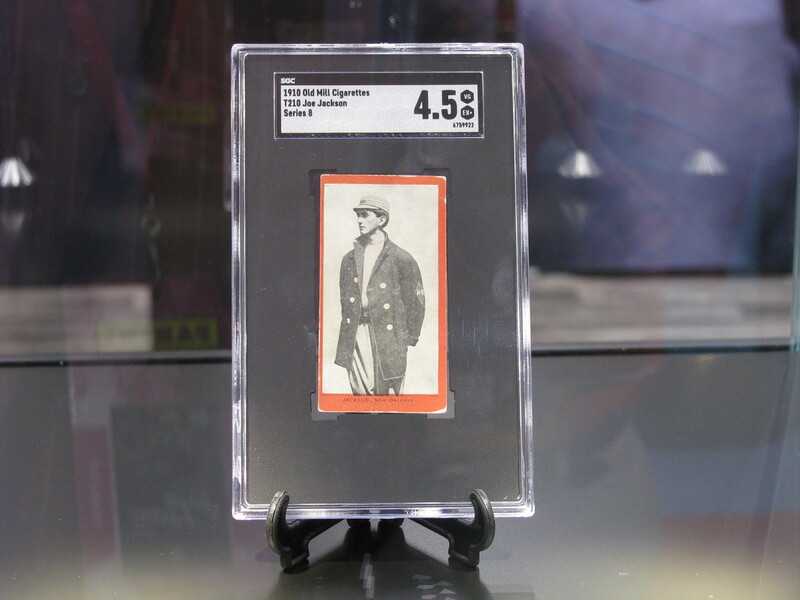 Cleveland Indians of the past and present will be found in the Topps VIP set this year for those attending the 2018 National Sports Collectors Convention. Its a 5-card set. I wouldn’t be surprised if packs only contain (4) cards. 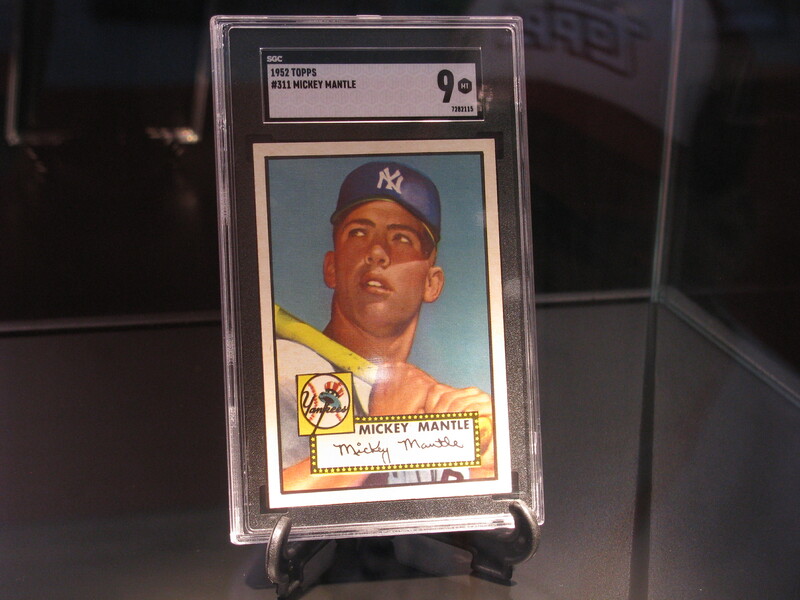 Like in years past, Topps wants you to trade in order to get that fifth card. Leaf has unveiled their 4-card set VIPs will find inside their swag-bag. The Leaf booth usually takes up the most space when it comes to corporate attendees. Brian Gray always uses the National as a platform to show off future products. 2018 Leaf Best of Sports and 2018 Leaf Metal Pop Century qualify for their wrapper redemption program.